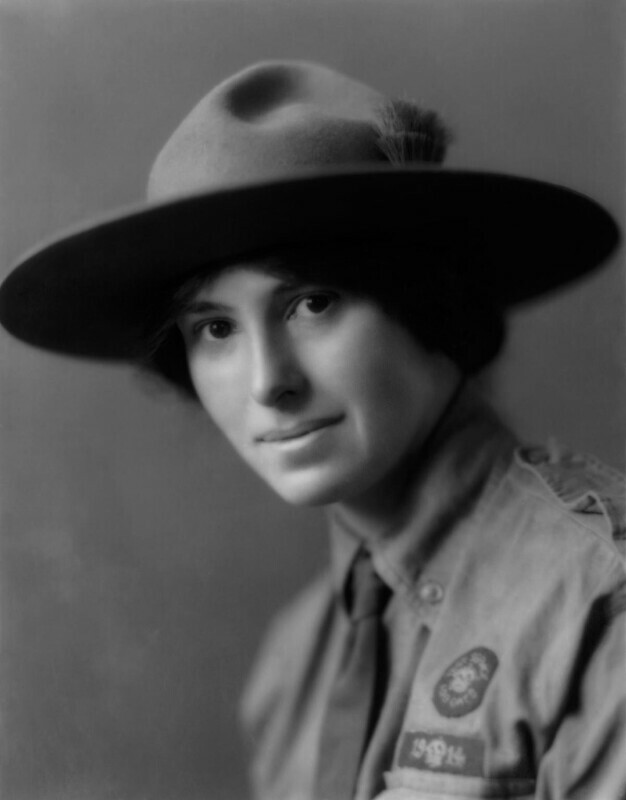 Today is the birthday of Olave St Clair Baden-Powell, Lady Baden-Powell, GBE (née Soames), wife of Robert Baden-Powell, and one-time leader of the Girl Guides who sprang up as a group spontaneously, much as the Boy Scouts had done, following Robert Baden-Powell’s publication of Scouting for Boys. Olave and Robert Baden-Powell shared the same birthday, now celebrated as Founder’s Day by Boy Scouts and Thinking Day by Girl Guides. I celebrated Robert here: http://www.bookofdaystales.com/baden-powell/ I mentioned Olave, of course, partly because their marriage was considered scandalous at the time. Robert was 32 years older than Olave. Olave was elected World Chief Guide in 1930. As well as making a major contribution to the development of the Girl Guide/Scout movements, she visited 111 countries during her life, attending Jamborees and national Guide and Scout associations. She spoke at the 12th World Scout Jamboree in Idaho in 1967 which I attended. It was the usual “do your best” stuff, but it did feel touching to be close to the founder. Olave was born in Chesterfield in Derbyshire. Her father was a brewery owner and artist Harold Soames (1855 – 1918). Her mother was Katharine (née Hill 1851 – 1932. Olave Soames was the third child and youngest daughter of her parents. She was educated by her parents and by a number of governesses at home. She lived in 17 homes in the first 23 years of her life. 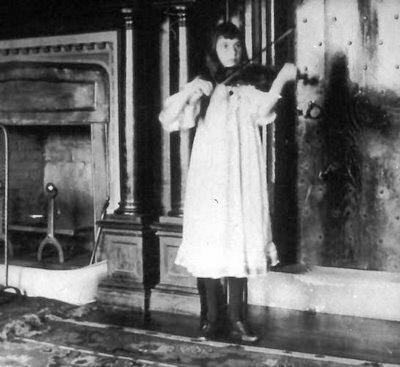 She became keen on outdoor sports including tennis, swimming, football, skating and canoeing, and also played the violin. In January 1912, she met Robert Baden-Powell, on an ocean liner (RMSP Arcadian) on the way via the Caribbean to New York to start a lecture tour. She was 23, he was 55. They became engaged in September of the same year, causing a media sensation. 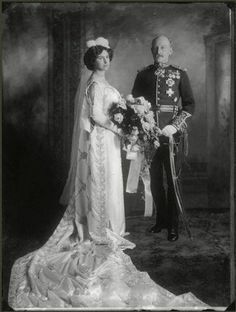 They married on 30 October 1912 in a very private ceremony, in St. Peter’s Church, Parkstone, in Dorset, her Parish Church at the time. Apart from clergy, the only other people present were his brother and sister and Robert Kekewich, a close friend of his, her mother and brother, her brother-in-law, and Sie Bower, a close friend of hers. The Scouts and Guides of England each donated a penny to buy the Baden-Powells a wedding gift of a car (note that this is not the Rolls-Royce known as “Jam-Roll” that was presented to them in 1929). Olave’s father assisted financially with the purchase of Pax Hill near Bentley, Hampshire, as a family home where she lived with her husband from 1919 until 1938. 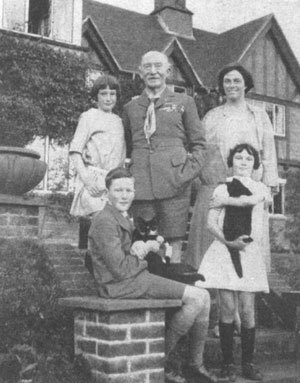 The Baden-Powells had three children — a son and two daughters (who took the courtesy titles of Honourable in 1929; the son later succeeding his father as the 2nd Lord Baden-Powell upon his father’s death in 1941). Their youngest, the Hon. 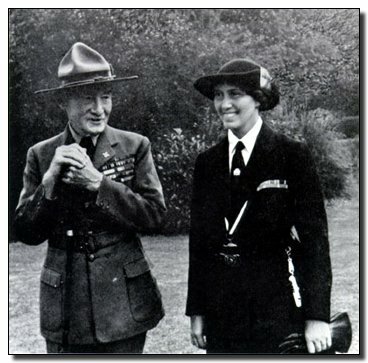 Betty St. Clair Baden-Powell, CBE (1917 – 2004), like her mother, met her future husband on board ship, an older man (by a decade) who shared her birthday. 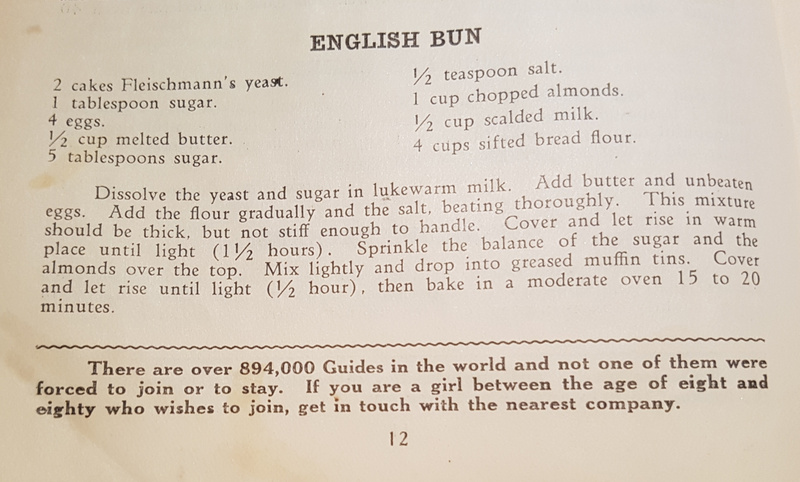 Betty was also prominent in the Guide Movement in Northern Rhodesia until the couple retired to England in 1964, when she became involved with the Girl Guides in England until her death. In addition, when Olave’s sister, Auriol Davidson née Soames, died in 1919, Olave took her three nieces, Christian (1912–1975), Clare (1913–1980), and Yvonne, (1918-2000), into her family and brought them up as her own children. During 1915 and 1916, with World War I in progress, Olave assisted directly with the war effort in France. Robert had seen the usefulness of the YMCA’s recreational huts for the soldiers and persuaded the Mercers’ Company (of which he had been Master in 1912) to pay for such a hut at Val-de-Lievres, Calais. It was to be staffed by adults connected with Scouting. Olave was one of the team of five men and three women that staffed the hut at the start. She persuaded her mother to look after the children for the time she would be away. Olave left for France on 7 October 1915, when her second child was five months old. Her regular work in the Mercers’ hut included serving cocoa and cigarettes and chatting to those who came in. She also recalled in her autobiography playing her violin and singing at the Christmas Concert. Olave began playing the violin as a child. Her first violin she called Diana. It was a copy of a Stradivarius made by Messrs. Hill for the Paris Exhibition and many years later it was presented to the Guide Association. It is still available on loan to Guides who are seriously learning to play the violin prior to them acquiring their own instrument. During this time, Robert had organized the Scouts to sponsor another recreational hut. Olave and two others started this hut at Étaples after Christmas 1915. At the end of January, Olave was ordered home due to sickness, ending her three months in France. 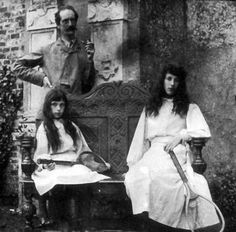 Olave and Robert moved into Ewhurst Place, outside Robertsbridge in Sussex in April 1913. In June of that year, the 1st Ewhurst Scout Troop was inaugurated. Olave was warranted Scoutmaster of this troop, assisted by the family’s housemaid and the gardener. Olave accompanied Robert on many of his Scouting tours and to events. She also typed letters for him. In 1915, the Baden-Powell’s bought a small car, and after Robert taught her to drive, Olave often drove him to engagements. 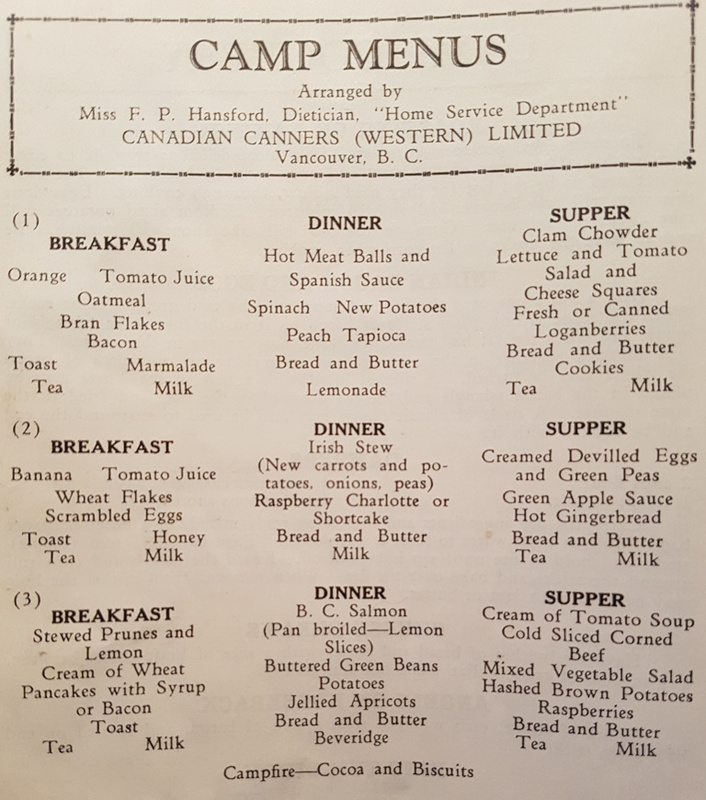 Although most famously connected with the Girl Guides, Olave’s first offer to help them in 1914 was turned down. The Girl Guide Movement had started following pressure from girls who wanted to become Scouts. The Movement was set up by Robert Baden-Powell and his sister Agnes Baden-Powell, but it was not progressing well. 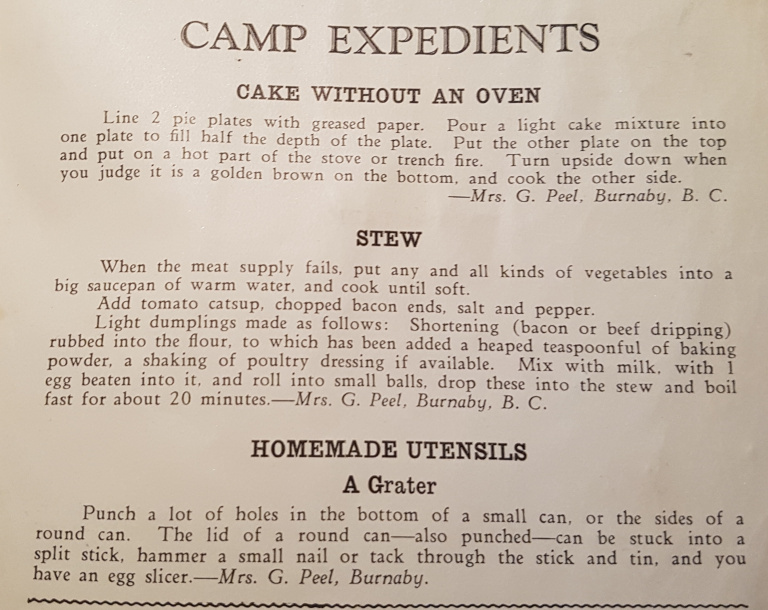 After the reorganization of the Girl Guides in 1915, Olave again offered to help, this time successfully, and she started organizing Guiding in Sussex. She became the County Commissioner for Sussex in March 1916. In October 1916, the first conference for County Commissioners was held and it was here that the Commissioners unanimously requested that Olave take the role of Chief Commissioner – she was just pregnant with her third child. During this period she organised a great number of women in other parts of Britain to take up roles in Guiding. 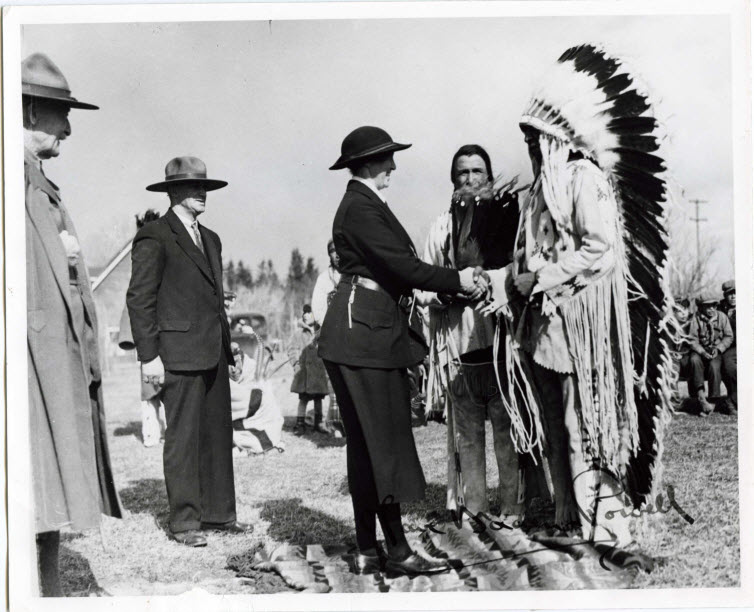 In 1918, Olave was acclaimed Chief Guide, a title she much preferred to Chief Commissioner. In 1932, she was awarded the Dame Grand Cross of The Most Excellent Order of the British Empire (GBE) by King George V, in recognition of her volunteer work. Finland awarded her the Order of the White Rose of Finland, and Peru the Order of the Sun. In 1957 she was awarded both the 14th Bronze Wolf, the only distinction of the World Organization of the Scout Movement, awarded by the World Scout Committee for exceptional services to world Scouting, and the highest distinction of the Scout Association of Japan, the Golden Pheasant Award. In October 1938, Olave moved to the Outspan Hotel, Nyeri, Kenya with her husband, where he died on 8 January 1941. 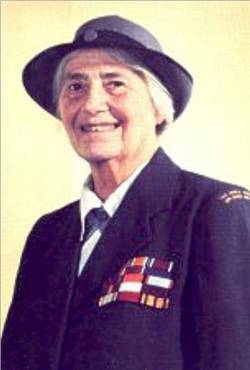 In 1942 she braved U-boat attacks to return to a grace and favour apartment in Hampton Court Palace (in which she lived from 1943 to 1976), since her own home, Pax Hill, had been taken over by the Canadian military. Through World War II she toured the United Kingdom. Fortunately, she was on a visit when a V2 missile damaged her apartment in 1944. As soon as she could after D-Day, she went to France, toured throughout Europe as the war ended to help revive Guiding and Scouting. Olave led the Guide Movement worldwide for 40 years, traveling all over the globe helping to establish and to encourage the Guide Movements in other countries, and bringing membership to over six and a half million worldwide. 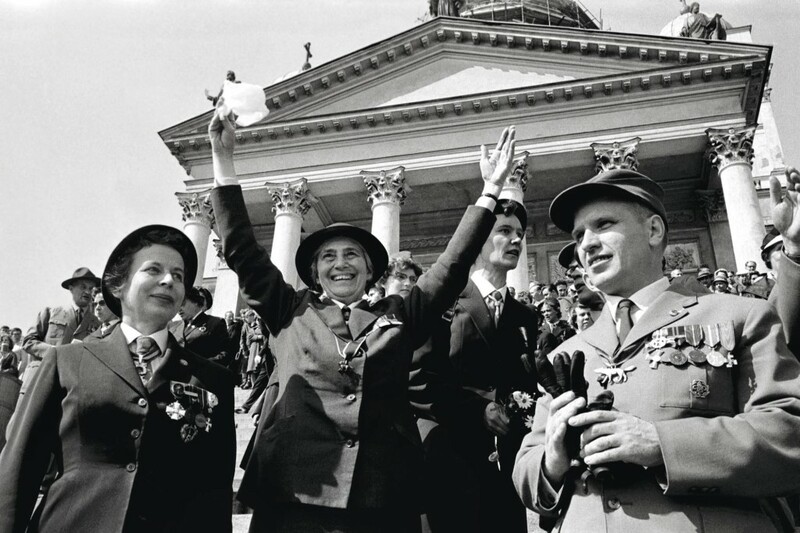 Olave was present in Washington, DC in 1962 for the celebration of the 50th anniversary of the founding of the American Girl Scouts. Having suffered a heart attack in Australia in 1961, she was finally banned from travelling by her doctor at the age of 80 in 1970 when she was diagnosed with diabetes from which she eventually died. In 1968 the Boy Scouts of America (BSA) had given Olave a credit card to defray her travel costs. When she stopped travelling, the BSA asked her to use the card for ‘keeping in touch’. This included paying for the over 2000 Christmas cards she sent to those personally known to her. Olave died on 25 June 1977 at Birtley House, Bramley in Surrey. Her ashes were taken to Kenya to be buried in the same grave as her husband’s remains. 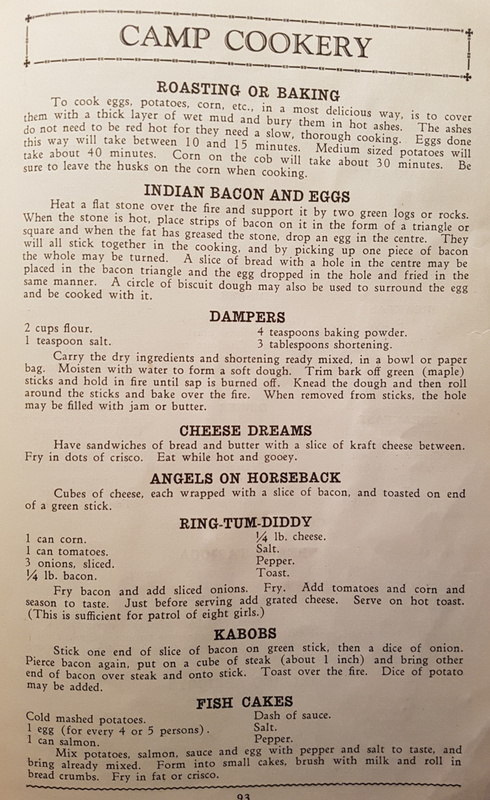 I found a Canadian Girl Scout cookbook online from the 1930s. Here are a few images from the book (with suitably entertaining notations). Click on each image to enlarge it. Most of the recipes are for camping, but they will work indoors as well.